Business communication skills that deliver results. Storytelling for Leaders is a six-month training program comprising a one-day workshop and a deliberate practice program — ideal for improving your communication and presentation skills. (pity about that). 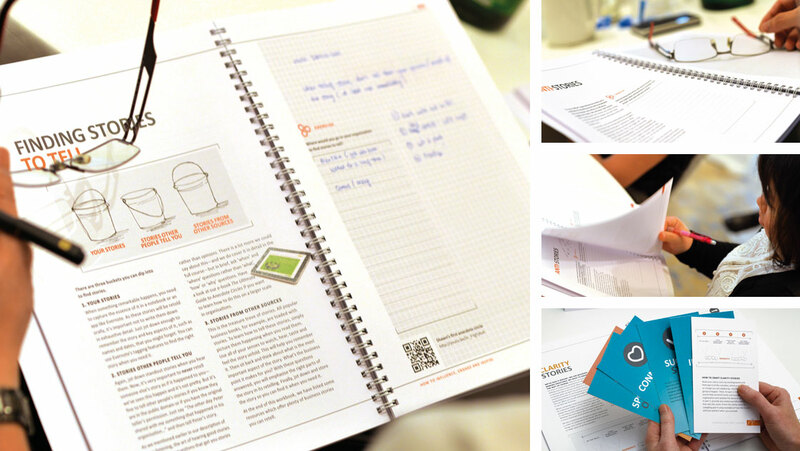 Download Storytelling for Leaders brochure. You’ll learn how to use your day-to-day experiences to make and reinforce points in a business setting. You’ll also learn specific story patterns to use in explaining why change is happening, to change people’s minds, to overcome objections, and to illustrate success. And you’ll achieve all this without furrowing any brows or sending anyone to sleep. The one-day workshop is a practical, hands-on session. Within the first 30 minutes, participants are sharing stories. We do, with our Partners around the world. By the way, Anecdote is highly experienced in delivering Storytelling for Leaders. We’ve trained over 1000 leaders, with an average net promoter score of 67 (BTW, that’s really good). Our global network of Partners delivers this program to workplaces in over 22 countries. Turkish, Spanish, Mandarin, Italian, Polish, Thai, Bahasa Indonesian and Korean. You’ll relate to others emotionally and therefore inspire action rather than just the nodding of heads in approval. And, of course, because your stories will be real-life examples, they will be more influential than mere opinions. Here’s an account from a leader who attended Storytelling for Leaders. Pete (not his real name) was a country manager at a global manufacturer. Each year he pitched his budget to his board for approval, and each year the experience was the same. You know what it’s like: you sweat bullets, your gut churns. It can be a gruelling affair. But after participating in Storytelling for Leaders, Pete had a different experience. He’d learned the clarity story pattern from us and he used it to explain to his board why he needed the requested funds. The board listened to his story, there was a pause, then nods around the table, and just like that his budget request was granted. Before Pete could catch his breath, the board’s chair asked him how much more he’d need to deliver results even faster. He went with his gut: “Five million will do it”. That was also approved. Imagine if you could influence decision makers like this. Imagine the time you’d save, the anxiety you’d spare yourself, the ability you’d have to get on with the job and make a real difference. Needless to say, this opportunity is not just for country managers who want to influence their board members. Business storytelling applies to any type of leadership, at any level of an organisation. Can my own people deliver the program? Yes. 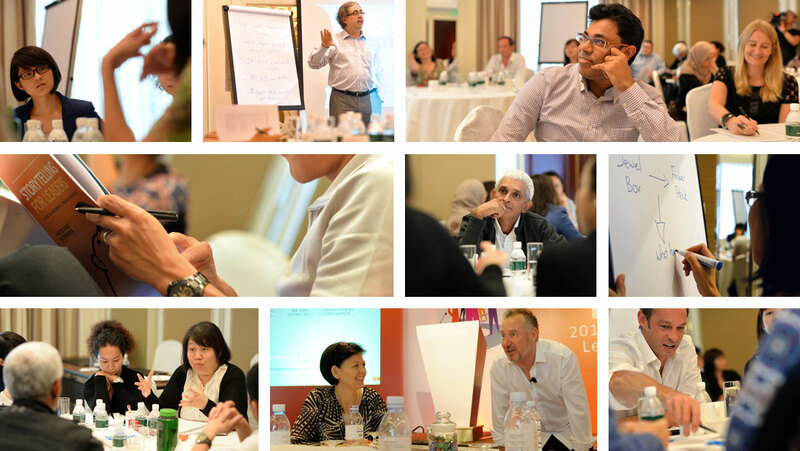 We can make your business a corporate partner for the Storytelling for Leaders program. We will train and accredit your staff, who can then deliver the program internally. This is more cost-effective and results in an even better connection between the program’s content and your specific context. Leaders can use storytelling to convey values, share lessons or explain a strategic direction. They can use storytelling to forge deeper connections between people and to inspire them to focus their attention and take action. There is a chasm between finding an insight in data and influencing a decision-maker to act on it. You can bridge that gap with storytelling. Stories connect data and establish meaning. They bring data to life. Check out where a public Storytelling for Leaders program is scheduled to run.